Before Derrick Rose used his new Adidas Crazy Lights in the 2011 NBA Playoffs, he had used first the Adidas Adizero Rose 1.5. 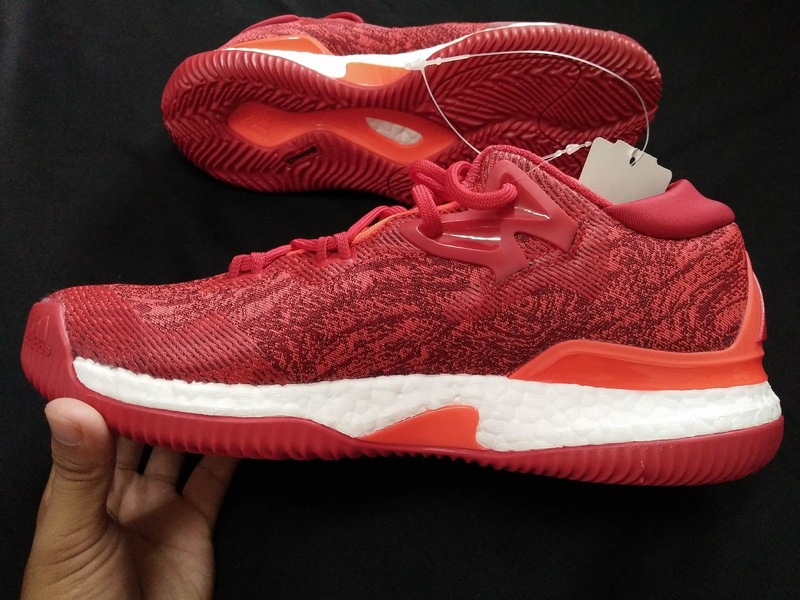 While using these Adizero 1.5's (1.5's) in the NBA regular season, Rose was able to set high scoring average and he had consistent MVP type of ball games. We can say that these 1.5's helped him a lot in getting those MVP kind of numbers. He moved fast and he jumped high using these 1.5's. That's why the theme behind the 1.5's is "All Fast-All Light" because this pair of shoes only weighs 13 ounces. 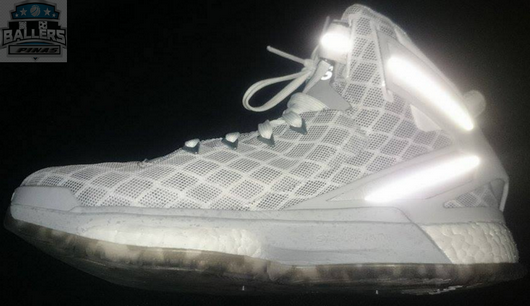 They are the second lightest basketball shoes behind the new Adidas Crazy Lights. The cool grey/red color way of the 1.5's was released earlier this year, around January up to February and Rose's fans copped his shoes. Adidas received many good comments about the 1.5's and it prompted them to release a new color way for it. 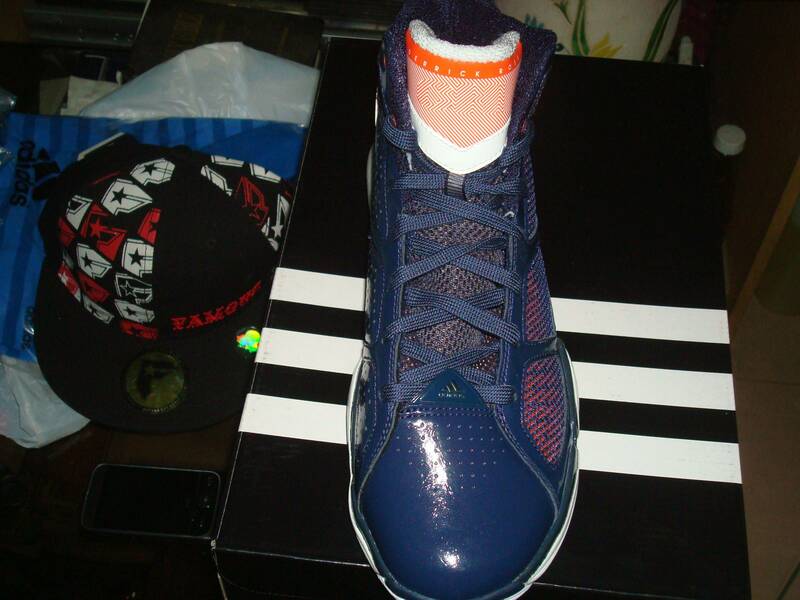 They called it as the Chicago Bears color way and the way I see it, it's refreshing and it looks nice. 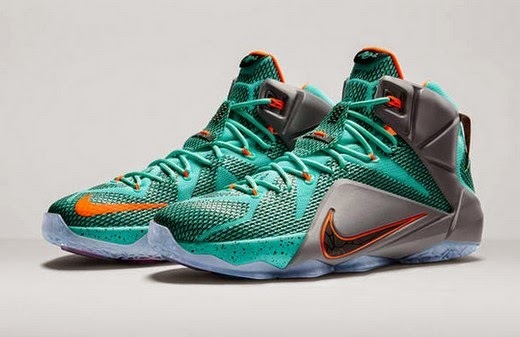 There are some differences between this new colorway and the old one. Check out the pictures below. The remarkable difference between this new colorway and the first color way lies on the technology that was used on their respective upper portions. 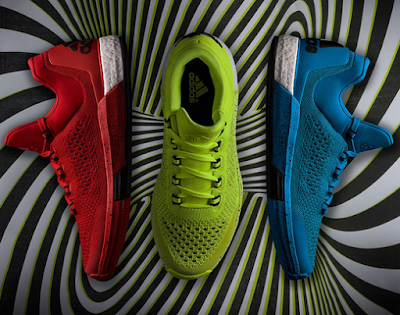 The old colorway has the sprint skin technology while the Chicago Bears colorway has an orange plastic upper that's covered by a soft thin mesh. I've seen and I've touched the old sprint skin technology found in the first colorway of the 1.5's and they are flexible but I think the Chicago Bears color way has more stability and more flexibility. When I touched it and I poked it outwards using my finger, it's more responsive compared to the old color way. It's definitely an improvement of the older colorway. Look at the pictures below. 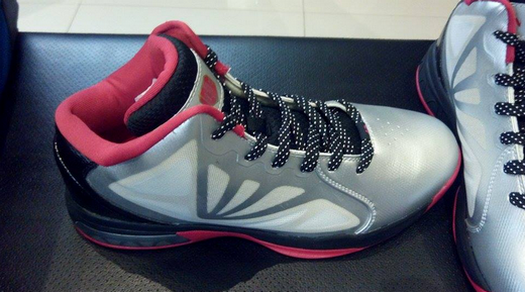 This is the sprint skin technology of the cool grey/red first color way of the 1.5's. 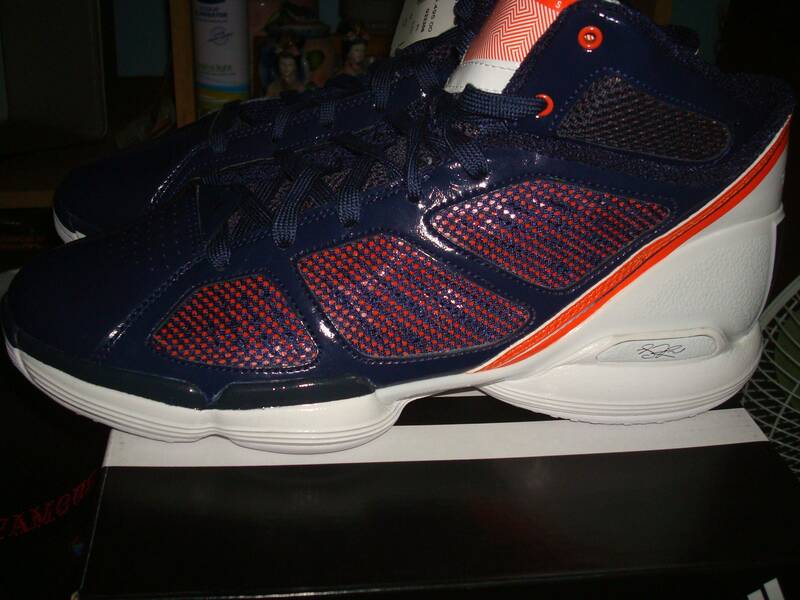 And here's the new Chicago Bears colorway of the 1.5's. Look at the orange plastic. When you touch and poke it you'll know the difference. It's an improvement of the older colorway. 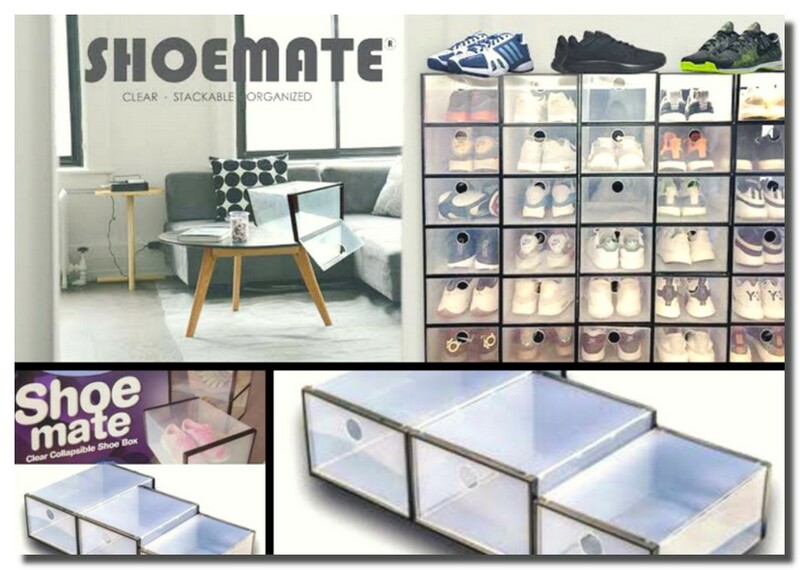 Let's now go to the tongue of the shoes. 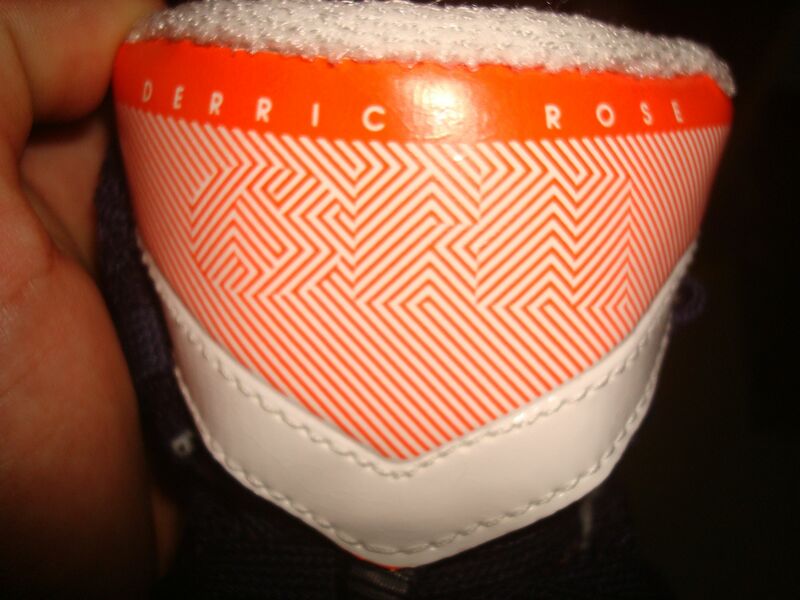 You'll see Derrick Rose's name on it and look closely at it and try to find the CHI letters. Did you see the letters? If yes, that means you have a clear vision. The inner part of this new color way of the 1.5's has a soft caldera for more comfort. 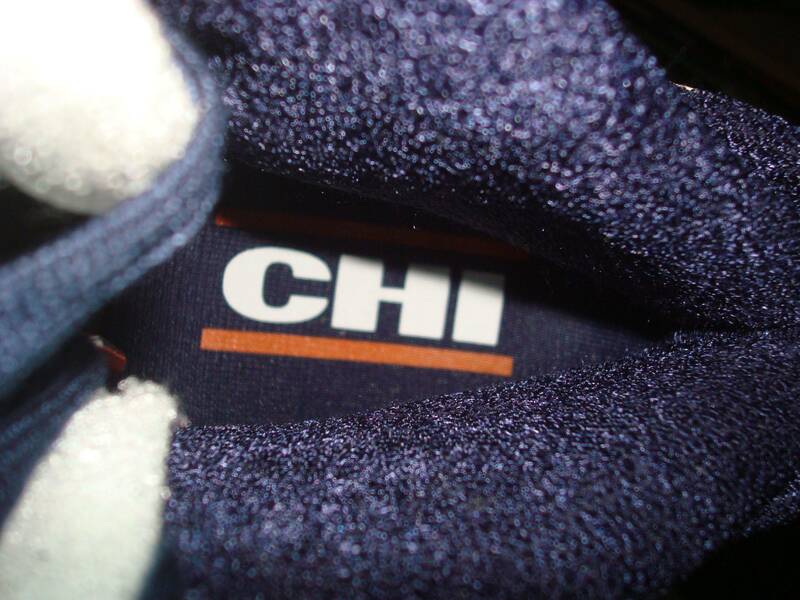 The mid soles of this shoe also has the CHI letters which means Chicago. 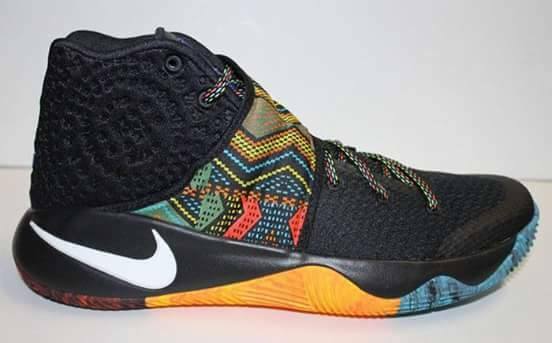 Here's the back of the shoes. 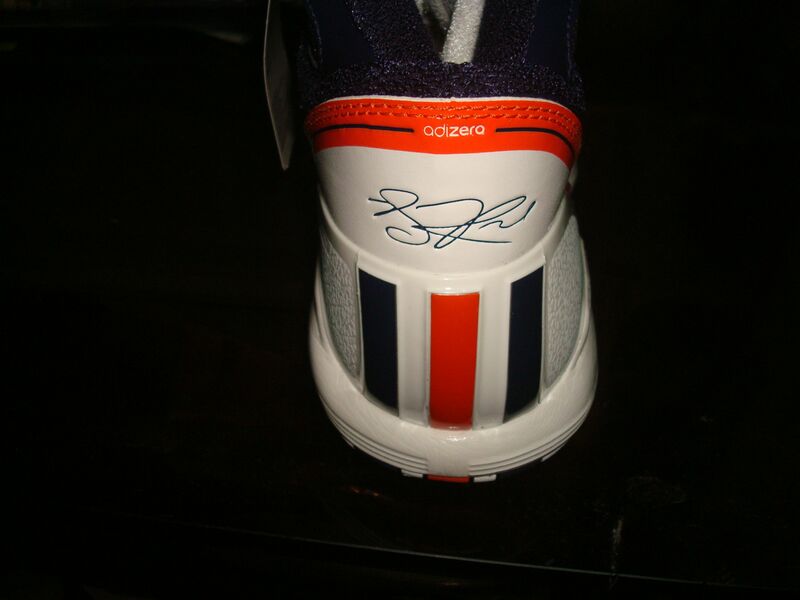 It has Derrick's signature. It also has a very durable plastic ankle support. I touched it and it felt very sturdy and very durable. And finally here's the sole of the shoes. You can see the pure motion sign embossed on it. The pure motion technology is for better shock absorption when one does sharp cuts towards the basket. It's also helps make one's first step quicker. 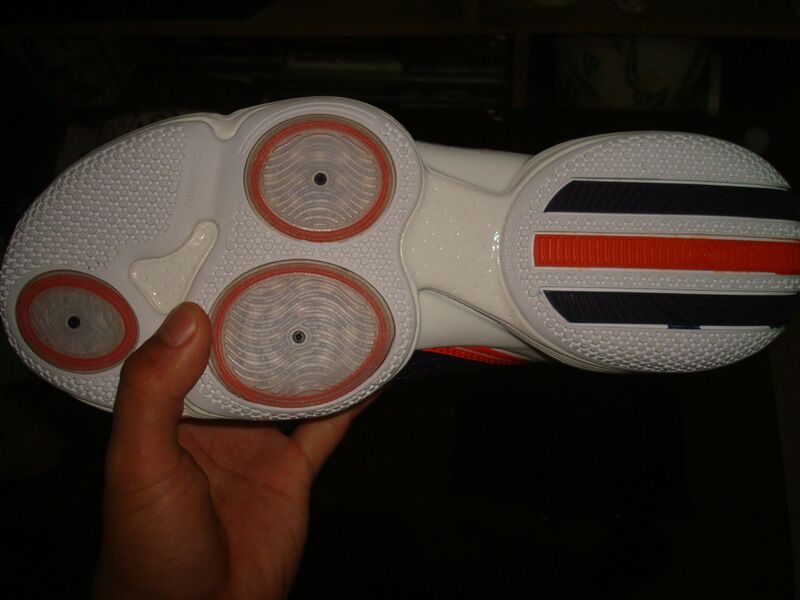 You also have Adidas 3 stripes on the heel and they extend up to rear part of the shoes. 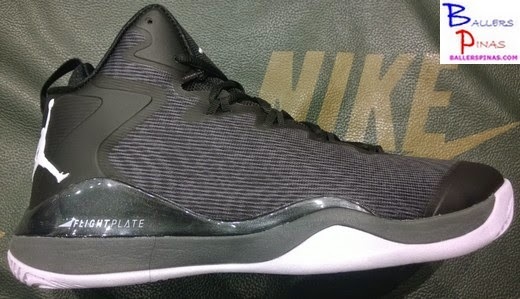 Here's the top view of the shoes. You'll see the glossy toe cap of the shoe and you're lace it up lacing system of the 1.5's. 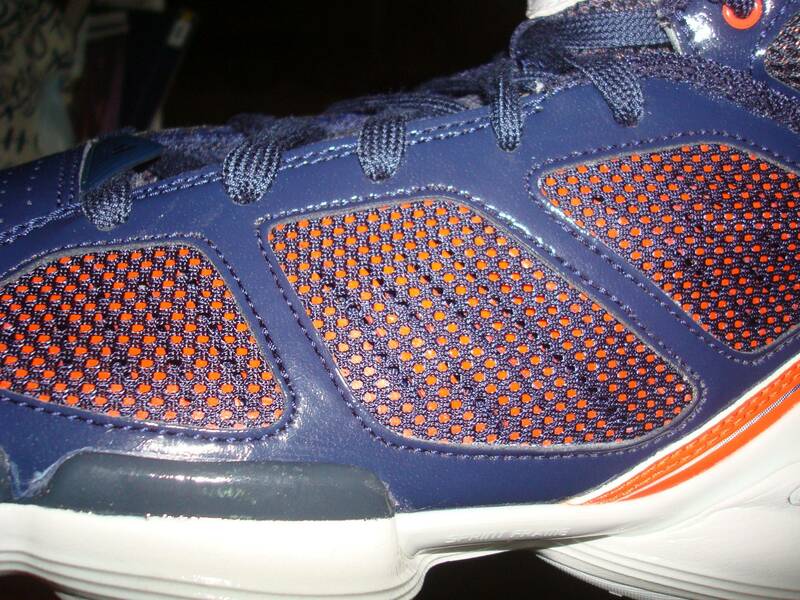 That is basically the profile of the Adizero 1.5 Chicago Bears Color way. 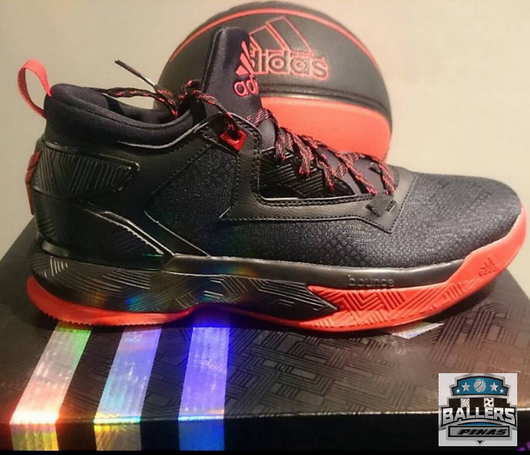 This pair of shoes costs 5,495 pesos and you can buy them at the leading Adidas stores nationwide, such as in Trinoma and in Mall of Asia. 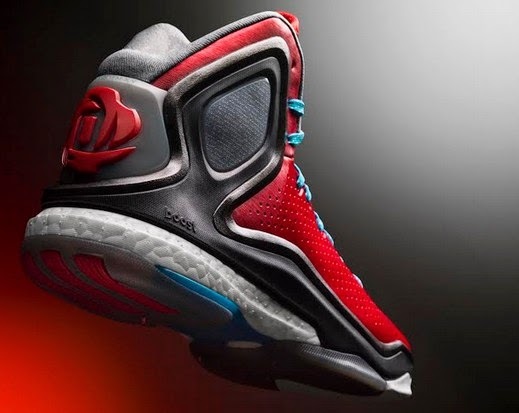 Here are some of Derrick Rose's videos wearing the Adizero 1.5 first color way shoe.